Community involvement is important to our team at Prince George’s Animal Hospital. In Hyattsville, MD, there are a number of animal rescue groups that are close to our hearts. 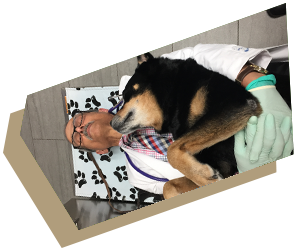 We offer our services in the form of free examinations for pets that have been adopted from the rescue groups that we are affiliated with, and we go above and beyond when it comes to providing care for these animals. If you have recently adopted a new pet and want to receive a free first examination, proof of adoption is required. Our team at Prince George’s Animal Hospital in Hyattsville also is involved in local charitable organizations and education.